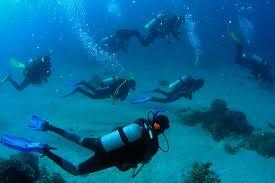 Love scuba diving? Want to share it with others on a whole new level? Take the Dive master course and do what you love to do as a career. 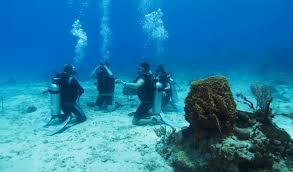 Scuba divers look up to dive masters because they are leaders who mentor and motivate others. As a dive master, you not only get to dive a lot, but also experience the joy of seeing others have as much fun diving as you do. problems. 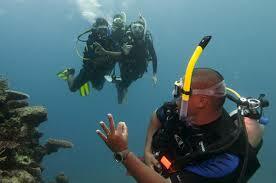 You’ll gain dive knowledge, management and supervision abilities so you become a role model to divers everywhere. 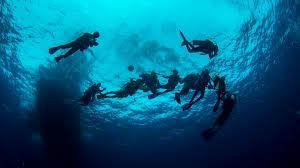 are respected dive professionals who are aligned with the largest and most respected dive organization in the world –. Emergency First Response Primaryand Secondary Care (CPR and First Aid) training within the past 24 months. 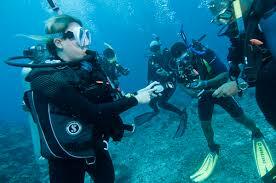 Note that qualifying certifications from other diver training organization may apply – ask your Instructor. Your instructor may also offer the Deep Diver and Search and Recovery Diver specialty diver courses along with your dive master training to help you meet all requirements and to broaden your abilities. Courses are structured for each individual needs, time, budget and you need to have logged 40-60 dives to begin the course. The option is to study face to face at Gold Coast Dive Centre by reading the Dive master Manual and watching the Dive master Video (a book and DVD package). Visit our website or call us to enroll in the course and get your Dive master Crew-Pak, which also includes other reference materials – like the Instructor Manual and The Encyclopedia of Recreational Diving – that you’ll need during the course. twoSurface signaling device . During practical skills exercises, like underwater mapping and search and recovery, you’ll use a compass, floats, marker buoys, lift bags and slates. 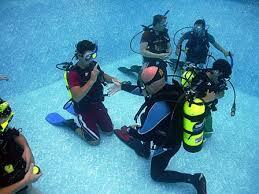 Your Instructor may suggest additional gear that will be useful throughout your diving career. Check with Gold Coast Dive Centre for availability to get advice about everything you’ll need as a dive pro.